As a small business owner, you’re always looking to save a buck wherever you can. Although there are some items on which you should never skimp on price, there is one vital tool you can get at no cost whatsoever: your point of sale software. 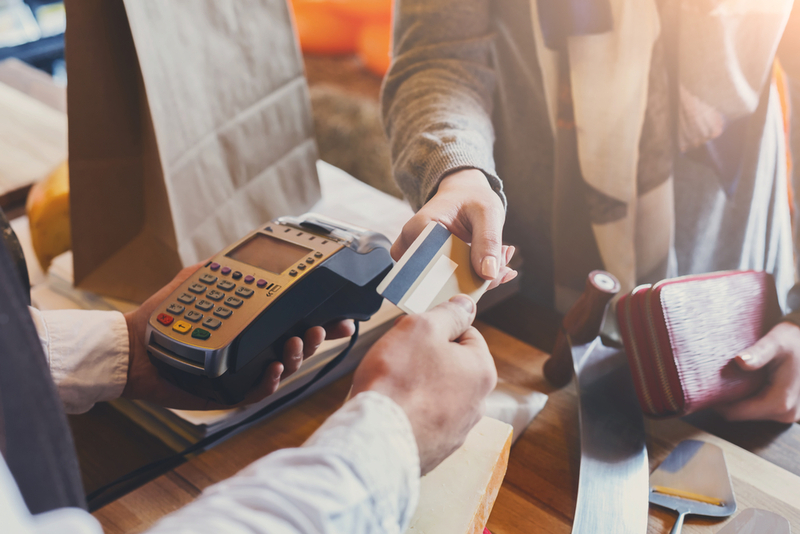 POS software is the technology used in tandem with point of sale hardware—such as a card reader mounted to a smartphone—to process and monitor sales, track inventory, store customer data, integrate with systems and databases, and a variety of other functions. It typically comes in the form of a mobile or web application. For small business owners with limited transactions or products, free POS software can satisfy most of your needs. To help you decide which is best for your business, we’ve compiled a list of the best free POS software available on the market. Before we jump into that, let’s look at why you need a POS system, as well as the features you should look for in your POS software. Back in the day, all you needed to process transactions was a cash register and a trusted bookkeeper. But nowadays you need to meet customers where they are. A survey from TYTS, a credit card survey company, revealed that 40% of consumers prefer to pay with a credit card and 35% prefer debit cards. Only 11% said they prefer to pay using cash. That’s not even considering the number of people using contactless payment methods like Apple Pay and Google Pay. POS software, in tandem with some kind of hardware, allows you to process all of these types of transactions. But besides widening your sales net, POS software can handle a multitude of other functionalities that will make managing your business easier. Let’s take a look at some of those features. After the sale has been processed, your POS system can deliver receipts in the customer’s desired format, whether that be print or digital. 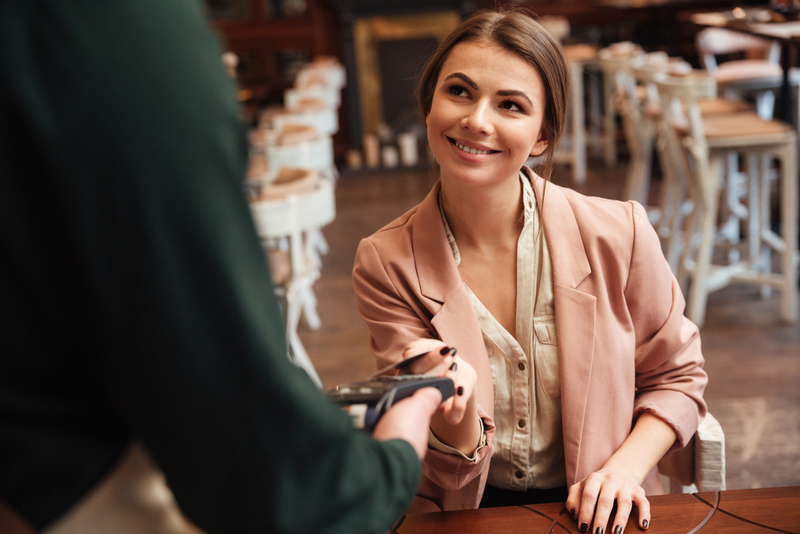 If you operate a service business, a POS system can help facilitate tipping functionalities, such as displaying pre-calculated percentages or a custom tipping option. POS software essentially functions as one large database for your business, so it makes sense that it should be able to automate and optimize how you manage your business’s inventory. Among the most common inventory management features available in POS software are reminders to inform you when stock of a certain product is running low. Some POS software will also let you place orders within its interface so that you can handle all your stock inquiries in one place. Your POS software should create detailed sales reports based on your daily, weekly, monthly, and yearly transactions. This type of analysis could provide you with useful insights into how to manage your business, such as which products need more marketing efforts or how to improve sales techniques. One cool benefit of POS software is that it can build individual profiles of all your customers and track their purchase history and shopping habits. This could come in handy if you rely on repeat business. If you operate a business with multiple employees, your POS software can help you manage them even when you are not around. This is achieved through functionalities like the ability for employees to clock-in and clock-out and reconcile tips and commissions through the POS system. POS software can be cloud-hosted, allowing you to process sales and access your data at any time from any location using a web-enabled mobile device. This is especially important if you operate your business from multiple locations, such as a food truck or trade show. POS systems can integrate with a variety of other business systems and databases to enable you to manage operations more efficiently, accurately, and consistently. If, for example, you sell products on an ecommerce platform, your POS system can attach to it to manage your transactions. Your POS system can also streamline your bookkeeping by exporting data to accounting software like QuickBooks and Xero. Now that we know the potential capabilities of a POS system, let’s look at what the top free POS software products have to offer. As with anything that is labeled as “free,” there are a few caveats. First is that all of these products work in tandem with POS hardware, which is sold separately (and can run anywhere between $550 and $2,000). It is also important to clarify that while these are free products, there are some strings attached. Some POS software providers offer a “freemium” model, where you can use the free version of their product and upgrade to a paid plan later on. Others allow you to use their system for free but charge you per transaction. There are also open-source POS software programs that are maintained by online volunteers and sometimes offer a clunkier experience. Most of these plans will give you access to the full range of aforementioned features, but others will only give you access to some of the features. Square POS is one of the most feature-rich free POS software options. At no monthly cost, users will receive analytics and sales reports, inventory and customer management features, integration with various ecommerce and bookkeeping platforms, invoicing capabilities, the option to send digital receipts, and robust data security—all on an easy-to-use interface. Users who sign up for Square will also receive a free card reader that they can plug into their smart device to accept mobile payments. 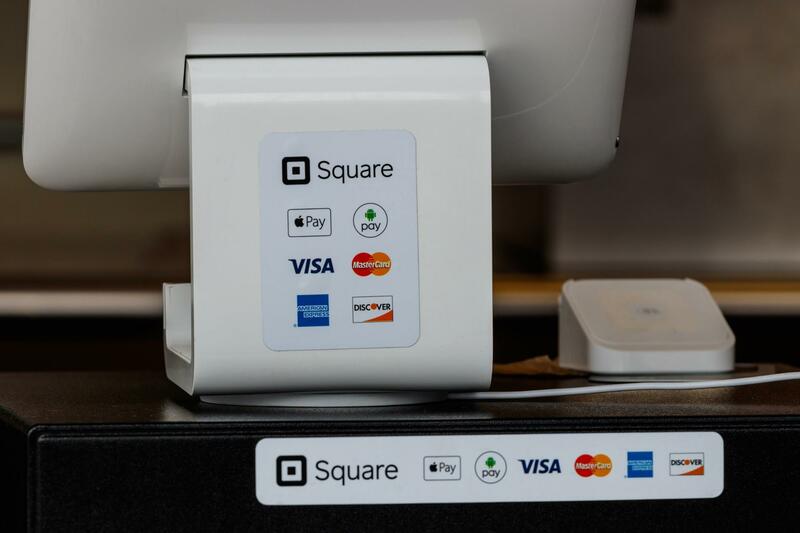 However, Square charges a 2.75% fee for all swiped transactions, a 3.5% plus $0.15 fee for all keyed-in transactions, and a 2.9% plus $0.10 fee for all online transactions, making it the costliest of the free options. If you’re looking for a POS system with all the bells and whistles, use Square, but know there are cheaper options available. If you are just starting out, Imonggo is a great option, as it offers free POS software for one user in one location. With this plan you will receive inventory management for up to 1,000 products, sales analytics, the ability to send digital receipts, employee and customer management features, plus mobile connectivity and the ability to sell offline. What Imonggo’s free plan doesn’t offer is broad integration capabilities, offline access, or the option to accept credit card payments. In addition, Imonggo caps your transaction limit at 1,000 per month. If you want more out of Imonggo, you will have to sign up for the premium version, which costs $30 per month. Fortunately, you can try Imonggo risk-free for 30 days to decide if it is the right POS software for your business. Loyverse, which stands for “Loyalty Universe,” is a good free mobile POS software. With it you can manage multiple store locations, send digital receipts, issue discounts, work offline, and accept credit card payments through an integration with credit card processor Vantiv (processing rates vary depending on your business). Loyverse also offers inventory, employee, and customer management, sales analytics, plus the option to institute a customer loyalty program. The main drawback to Loyverse is that, aside from Vantiv, it does not integrate with other software at this time. There are also advanced employee management and inventory features that will cost you extra. Users can try Loyverse risk-free for 14 days. Another feature-rich free POS software is Linga, which is designed specifically for food service businesses. This cloud-based software is for a single user on one register, and can manage up to 25 products. Among Linga’s features are the ability to process credit cards, manage employees, perform sales analyses, send digital receipts, and operate offline. It can also accept payment in 30 different currencies and can be translated into over 30 different languages. Linga offers other capabilities useful for restauranteurs, such as the ability to split pay, transfer tables, add gratuity, apply discounts, accept coupons, and perform refunds. Linga is another “freemium” product, with three higher tiered plans ranging in price from $19.99 annually per register to $89.99 annually per register. The main selling point of eHopper POS software is that it can operate on multiple different devices and integrate with a variety of POS hardware, which is perfect if you are migrating over from another POS system. Other features include the ability to work offline, deliver digital receipts, connect with accounting software, implement discounts and loyalty programs, and perform some customer and inventory management functions. However, eHopper can only operate on a single register, and you’ll have to pay a monthly fee for merchant services, ecommerce integration, and employee management functions. Vend is a good option for very small businesses, as it can support one register, 10 products, and up to 1,000 customers each month. The Vend POS software is cloud-based and offers the following features: customer, employee and inventory management, sales analyses, digital receipt delivery, and the ability to integrate with Shopify, Square, and PayPal for merchant services, as well as Xero for bookkeeping. Vend’s free POS software is good for small business owners who may only sell on occasion, such as a weekly farmer’s market. Vend also offers risk-free 30-day trials so you can see how the software works for your business. Vend’s paid POS software starts at $69 per month. UniCenta was created in 2010 as a hobby project but has grown to become of the most widely used open-source POS software available, with 100 million downloads in 150 countries. Among the long list of features uniCenta offers include inventory, employee, and customer management, detailed sales analyses, and barcode scanning. UniCenta also provides customized interfaces for restaurants and retailers and the ability to operate in multiple languages and accept different currencies. Because uniCenta is open sourced, new features are added all the time. It also works with most POS hardware. If you fall in love with uniCenta, there are paid plans that offer even more functionality. Another open source POS software option is Floreant. The software was created to help a Denny’s restaurant in Oneonta, New York, upgrade its system in 2008, and it has been downloaded over 122,000 times. Floreant can handle a variety of basic POS tasks, such as inventory and employee management, sales reports, and mobile access. There is also an abundance of food service features, such as table and menu management, tip adjustments, kitchen printer connection, and bar tab generation. While Floreant is free, there is a charge for setting up the system and providing support. Which Free POS Software Should You Use? How many registers do you operate? Most free POS software will only operate on a limited number of POS pieces of hardware. 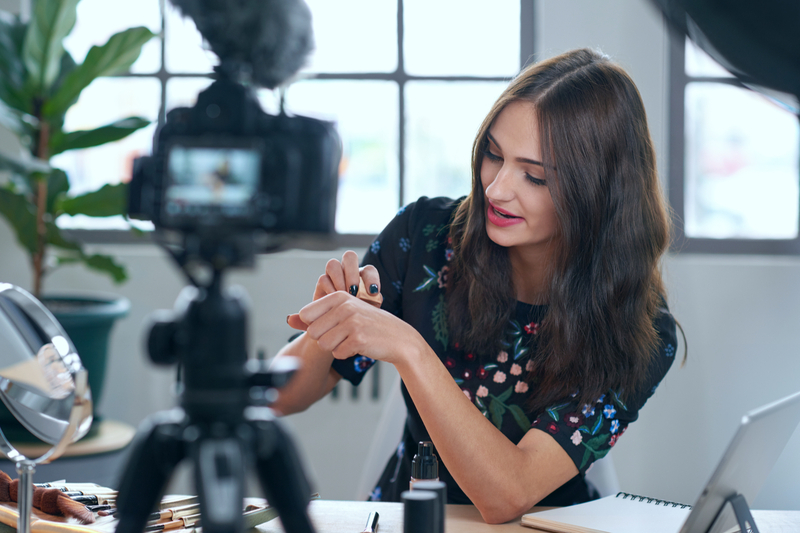 How many products do you sell each month? And how many customers do you sell to? You will likely face product and customer caps with free POS software. What other types of software does your business use? You’ll want to use POS software that integrates seamlessly with your other systems and causes limited disruption. Where do you typically sell from? If you operate from multiple locations, you will want a cloud-based system that allows you to service your customers on the go. The answers to these questions will point you in the direction of the POS software that is best for you. Happy hunting!